Hundreds of millions of jobs affected. Trillions of dollars of wealth created. These are the potential impacts of a coming wave of automation. In this episode of Moving Upstream, we travelled to Asia to see the next generation of industrial robots, what they’re capable of, and whether they’re friend or foe to low-skilled workers. This might seem bonkers given the reasonable fear that computers, robots and AIcould wipe out half of all jobs in the next 20 years. It also might seem foolhardy from the C-suite perspective, since not all robots are suited for all jobs, and underused robots are costlier than a seasonal or on-demand human workforce. The bulk of economists argue that automation ultimately creates more jobs. That might be of little comfort to a Detroit assembly-line worker. Automation does eliminate jobs in the short term, with often painful and even permanent consequences. For the economy as a whole, however, automation drives down prices of goods and services. Humans have so far proved endlessly inventive about how to spend extra money, leading to new businesses — and more jobs. Yet a just-released report from the Information Technology and Innovation Foundation, one of the world’s leading science and technology think tanks, argues that the U.S. is falling behind in adoption of robots. 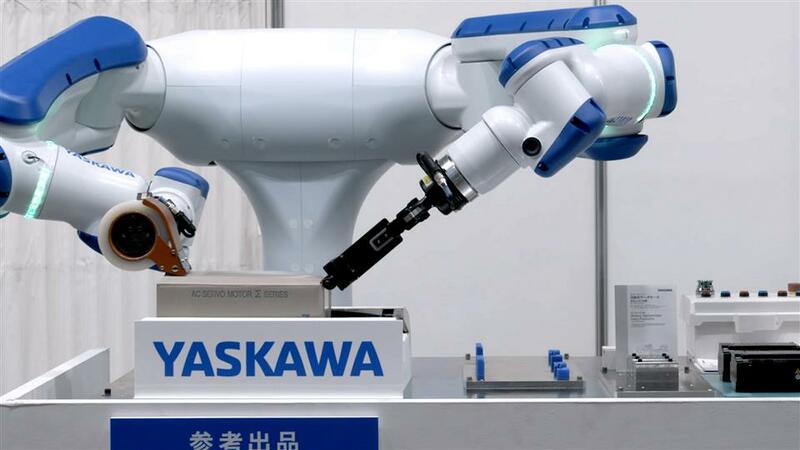 Its new indexcompares the rate of adoption of industrial robots in manufacturing in different countries, while controlling for average wages of workers in those countries and industries. The ITIF found the U.S. is adopting industrial robots well behind the “expected” rate of adoption, compared with other rich countries. China, on the other hand, is adopting robots so much faster than everyone else that, within a decade, it could lead the world in use of robots, when controlling for wages. Robots benefiting individual workers feels counterintuitive because they do destroy jobs and the jobs that arise after automation is introduced are impossible to predict, let alone train workers for. Who at the birth of the digital computer during World War II would ever have predicted that by 2022, North America would have 265,000 more cybersecurity jobs than skilled workers, or that a single e-commerce company, Amazon, would be so big it could create a new shopping holiday? Some, like the founder of Sinovation Ventures and former head of Google China, Kai-Fu Lee, argue that there is no historical precedent for the current wave of automation, as it will be as big as the arrival of electricity or steam but will happen much more quickly. Automation takes many forms, but robots are a useful focus, because they directly displace low-skilled workers in manufacturing and other blue-collar professions. One recent study of the adoption of robots in 17 countries found that increased use of robots accounted for 0.36% of the annual growth in hourly worker productivity. A seemingly small increase, it amounts to a substantial 15% of overall productivity growth. Not surprisingly, adopting robots also lowered prices of the goods they helped produce. This has led some to call for the U.S., in particular, to increase the rate at which it adopts robots. “You either adopt automation or you see jobs go overseas to the countries that do,” says Robert Atkinson, ITIF founder and president. Overall, the U.S. ranks seventh in the world in its ratio of robots to manufacturing workers, but that only translates to two industrial robots per 100 workers. In South Korea, there are seven. There are a number of reasonscompanies in the U.S. don’t use more robots, says Daron Acemoglu, a professor of economics at MIT. One is that the U.S. hasn’t had the same demographic pressures as Germany and Japan. 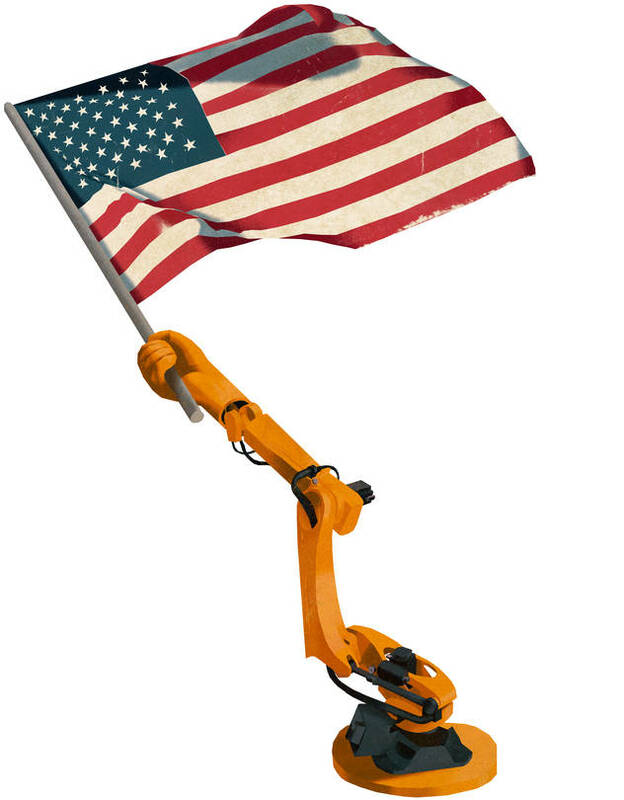 Worker shortages and high wages have pushed those nations to be leaders in the use of robots. That could be changing in the U.S., however: Unemployment hasn’t been this low since 1969. While ITIF correlates GDP growth with robot adoption, the way that wealth increase is distributed depends on how the country adopts those technologies, says Irmgard Nübler, a senior economist at the International Labour Organization in Geneva. Typically, she says, adoption of automation goes through two initial phases: worker displacement then job growth. Prof. Nübler believes that the record inequality in the U.S.seen in 2018 suggests we’re at the turning point between these two phases. Without policies in place to deal with these impacts, the inequality that arises in the first phase might persist. The last time we saw a technological transition like this was in the 1920s and ’30s, when electricity and the automobile created a third industrial revolution in the U.S. What came next were “new institutions and new social movements,” she says, as society adjusted to changes in the nature of work. One result was the “high school movement,” as secondary education became both free and compulsory, preparing an entire generation of Americans to move off the farm and become factory, clerical and service workers. This era also saw the rise of labor unions and the introduction of social security. Prof. Acemoglu also studies what happens to workers in the U.S. after they lose their jobs to automation. The result, in the auto-manufacturing Michigan towns of Detroit, Defiance and Wilmington, was economic suffering for the surrounding communities. There have been so many big developments this week in the Russia story that it’s tough to keep them all straight. What happened? Donald Trump’s former longtime lawyer Michael Cohen admitted on Thursday that he and others working for Trump negotiated with important Russians over a possible Trump Tower in Moscow well into the presidential campaign in 2016. The project ultimately didn’t take place, but Cohen now admits he lied about it to Congress to protect Trump. – It undercuts Trump’s sometime denials in 2016 and since that he had, as he often put it, “nothing to do” with Russia. In fact he was pursuing a major deal that he suggested on Thursday he might have kept pursuing through the year and might have tried to conclude if he hadn’t been elected. – It means Trump world already had a channel open with Moscow at the same time the Russian government was trying to bore one into Trump’s campaign. Meanwhile, it was waging a campaign of “active measures” against the U.S. and the West aimed at corroding faith in democracy and, ultimately, helping Trump become president. – It could deepen the public understanding about the Trump family’s relationship with the Moscow real estate mogul Aras Agalarov, another important player in this saga. If the Trumps’ negotiations with people in Moscow involved the Agalarovs, as one of their representatives suggested might be the case to the Senate Judiciary Committee, it gives another reason why Trump’s son Donald Trump Jr. might have agreed to the much discussed meeting with a Russian delegation that took place in June 2016. And because Cohen has told prosecutors that he briefed Trump about the Moscow deal, it raises new questions about whether Trump might also have been briefed about the meeting Trump Jr. hosted in New York City at Trump Tower. Trump said Cohen is lying. Trump also reportedly told the office of special counsel Robert Mueller this week in written answers that he didn’t know about the Trump Tower meeting in New York beforehand. Trump told reporters on Thursday that even if he had pursued the real estate deal with the Russians, it wouldn’t have been against the law. And Trump’s attorney Rudy Giuliani said on Thursday that facts in the court documents revealed on Thursday came from the Trump Organization itself — proof it has nothing to hide. What happened? The plea agreement involving Trump’s former campaign chairman Paul Manafort apparently fell apart on Monday. Manafort agreed earlier this year to give information to Mueller’s office, but prosecutors said he has been lying to them. Manafort said he has been giving the government useful information. There was much more, though: It emerged that Manafort’s lawyer has been briefing Trump’s lawyer about the evidence Manafort has been giving to the government — ostensibly, according to The New York Times, to reassure Trump’s team that Manafort hasn’t implicated the president. The Bureau of Alcohol, Tobacco Firearms and Explosives will soon ban bump stocks, appliances that enable semi-automatic weapons to behave like machine guns, according to late breaking news last night from CNN. Gun reform activists are cautiously celebrating the long-awaited change as a victory against the device that was used in the deadliest mass shooting in US history at a music festival in Las Vegas in 2017. But they worry the ban may be subject to legal challenges that delay its implementation and are cautious in giving it too much importance within the broader priorities of their movement. The ban on the devices has been a long time coming but gained greater momentum after the Las Vegan shooting, when the gunman added bump stocks to the weapons that killed 58 people. After the February school shooting in Parkland, Florida—a massacre that did not involve bump stocks—President Trump directed the Justice Department to propose a rule to ban the devices. At the end of March, Attorney General Jeff Sessions announced that ATF would make a rule change to expand the definition of “machine gun”—banned since 1986 under the Firearm Owners’ Protection Act—to include bump stocks. The rule change, which is expected to be handed in down before the end of the year, is taking place after eight-moths of a rulemaking procedure that included a lengthy public comment period, during which gun reform groups mobilized their supporters to submit tens of thousands of notes in favor of the ban. A swifter and more straightforward solution would have been legislative action, something ATF acting director Thomas E. Brandon said himself during a hearing on the subject earlier this year. Lawmakers of both parties introduced bills in the Houseand Senate to ban not only bump stocks but any device that increased a semi-automatic weapon’s rate of fire—a rare showing of bipartisanship on a typically polarizing subject. But Republican congressional leadership wouldn’t bring the bills up for a vote. It’s the hope that kills you – and the NFL does an excellent job of selling optimism. But for every team that turns its fortunes round in a matter of seasons, there are some who bump along the bottom for years – just ask Browns fans. Below we look at some of the worst teams in the league, and how long their pain is likely to last. A year after ending their record-setting playoff drought, the Bills once again seem a million miles away from contention. Despite being 4-7, they have the third-worst point differential in all of football – a better indication of future success than their win-loss record. Their season has been highlighted by some dramatic highs – winning in Minnesota, crushing the Jets – and excruciating lows, like losing by a combined score of 125-17 to the Ravens, Colts, and Bears. The biggest issue is their offense. They have scored more than 30 points in a game only twice this season. While people in Cleveland, Houston and Kansas City go gaga about their young quarterbacks, Buffalo fans remain unsure about their rookie. Josh Allen has shown some flashes of promise – but unfortunately as a rusher rather than a passer. He still looks like the wildly inconsistent player he was in college, and that’s being kind. Allen ranks 32nd among qualified quarterbacks in Football Outsiders’ total value metric. Added to that, you have to question the evaluation skills of a brains trust who kept Nathan Peterman on the payroll for two seasons. There are some signs of life for Buffalo though. The team have a bunch of young, talented defensive players, and are well equipped to stop modern, spread attacks. Tre’Davious White is one of the best young cornerbacks in football while Jerry Hughes and Shaq Lawson are the top edge-rushing duo in the AFC East. And it’s not as though the Bills are in a division of juggernauts. The masterful Patriots always loom but leapfrogging the Dolphins and Jets shouldn’t be tough. Buffalo may finish second in the division this season with a losing record. Sean McDermott will be given time, regardless of the team’s record this year. The same can’t be said for the Tampa head coach, Dirk Koetter. Front office execs and coaches never survive whiffing on the first overall pick and Koetter was the man handpicked to oversee the career of Jameis Winston. Simply, the Koetter-Winston combination hasn’t worked. The quarterback hasn’t developed one iota during his four seasons in the league. Mistakes that plagued his college career – on-field turnovers, off-field decision-making – follow him to this day. And it’s not as though the Bucs haven’t pumped resources behind their quarterback and offensive-minded coach. They’ve spent really, really big, in draft capital and dollars, on their offensive line and receiving corps. Now the team has to decide what to do with Winston in the offseason. Moving on seems like a wise move to many, but cutting ties with a number one overall pick is tough and jumping back on the quarterback merry-go-round is no fun. Perhaps the Bucs ownership will convince itself a new coach-general manager partnership can get more out of this team, and Winston. More than anything though, the defense has sunk the team this season: the Bucs rank 31st in defensive DVOA. To overcome that, an offense needs to be a certified steamroller akin to the Rams or Chiefs – and the Bucs certainly aren’t that. Change is coming in Tampa. Squint hard enough, and some building blocks are there. But the team need a defensive overhaul and will likely be in the market for a new quarterback. Not many rebuilding teams will be starting from such a low point. Don’t worry Tampa, it could be worse: you could be the Raiders. I’m not sure there’s a more deflating situation across the league than the one in Oakland. Head coach Jon Gruden appears stuck in the past. He’s publicly bickering with his best players, the ones he’s not already traded anyway. Gruden’s defenders will point to the obvious: the team is loaded with high-end draft picks in forthcoming years. That’s fine, provided you hit on those picks. And let’s be generous and say Gruden hits on 50% of those picks, that’s a solid base, but not much more given the teardown he’s instituted this season. Grabbing picks in addition to Khalil Mack and, to a lesser extent, Amari Cooper would be excellent. But Gruden will be spending his picks to trying to replicate and replace the talent and production of the two young stars who left this season. Teams wait a generation to draft someone as talented as Mack. To think Gruden will land one in the next three drafts is wishful thinking. That’s to say nothing of the team’s quarterback situation. Derek Carr has become the try-hard son who can do no right in his parents’ eyes. It’s rare in real-time to see a coach’s body language so obviously indicate that he cannot wait to move on from his signal caller. It’s a kind of performance art. Fear not, Raiders fans. You only have the oldest roster in the league and nine more years of the Gruden experience. Moving to Vegas couldn’t have come at a better time. 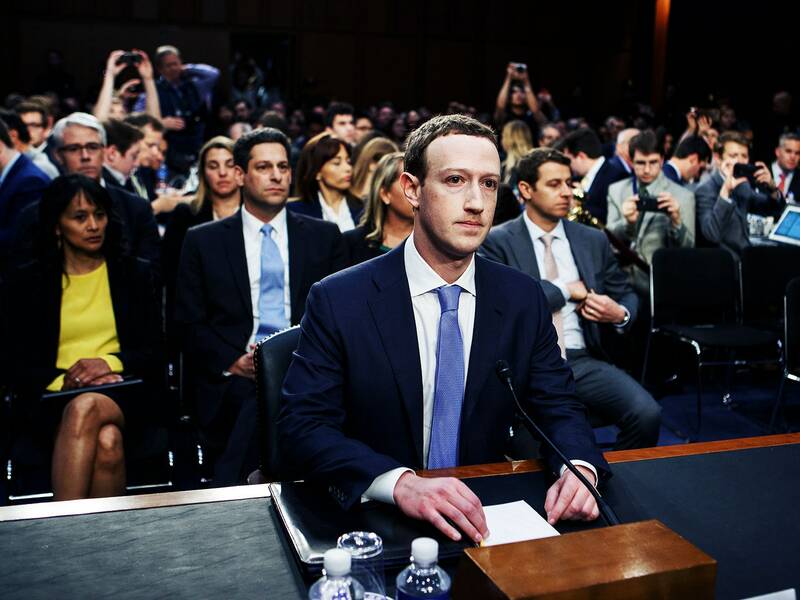 Facebook CEO Mark Zuckerberg has said that Facebook does not sell user data, but a lawsuit alleges that the company seriously considered it. An already head-spinning legal case between Facebook and the developer of a now-defunct app that searched for Facebook users’ bathing suit photos took another series of turns Wednesday. First, The Wall Street Journal reported on a previously redacted court filing, containing information that Facebook has fought for months to keep sealed, which alleges that Facebook had considered selling access to user data before 2014. Then, Facebook hit back against the company behind the lawsuit—Six4Three—arguing that it breached a court order to keep the documents sealed and then sought to destroy evidence just before British lawmakers seized some of those documents from Six4Three’s founder last week. The court filing, which was drafted by Six4Three’s legal team in 2017, is based on internal Facebook documents obtained through discovery. Though the underlying documents aren’t included in the filing, they’re partially quoted throughout it and suggest that Facebook brokered special data deals with companies like the Royal Bank of Canada and Amazon, among others. In one email cited in the filing, a Facebook employee discussed shutting down apps that don’t spend “at least $250k a year to maintain access to the data.” The exposure of this sensitive information comes down to a simple technical glitch: The court documents were redacted improperly, leaving the underlying text exposed when it was uploaded to a text editor by a reporter at Ars Technica, which publishedthe document in full Wednesday night. “The documents Six4Three gathered for this baseless case are only part of the story and are presented in a way that is very misleading without additional context,” said Konstantinos Papamiltiadis, Facebook’s director of developer platforms and programs, in a statement. The company had successfully fought to keep the documents sealed in California, where the lawsuit was filed. But last week, lawmakers in the United Kingdom seized at least some of them from Six4Three founder Ted Kramer while he was traveling to London on business and are planning on publishing them within a week. Facebook is now charging Six4Three with breaching the California court order and is demanding a discovery process of its own to find out how British regulators were able to obtain confidential documents that were never supposed to see the light of day. The filing cuts to the heart of an increasingly nasty legal battle between Facebook and Six4Three, whose bikini-finder app Pikinis went out of business in 2015 after Facebook changed its API to cut off app developers from their users’ friends data. It did this ostensibly to protect users’ privacy. But the Pikinis app relied on that data, and after it shut down, Kramer sued Facebook, alleging that the company had been planning to cut off access to this data as early as 2012, at the same time it was luring new developers with it. He has since accused the company of trading access to user data in return for mobile advertising purchases from app developers beginning in 2012. Donald Trump Claims Everyone Knew About Secret Russian Deal No One Knew About – Robert Mackey November 29 2018, 6:27 p.m.
Michael Cohen’s secret negotiations with Russian officials and their proxies to arrange financing and permits for a Trump Tower in Moscow, conducted as Trump was publicly heaping lavish praise on President Vladimir Putin, had never been secret at all, the president told reporters outside the White House. In fact, the existence of such a project, which was being negotiated in secret during the entire span of the Republican primary campaign — from at least October 2015, when Trump signed a letter of intent with a Russian developer, through January 2016, when Cohen called an aide to Putin’s spokesman, until some time after Trump secured the nomination in June — was not known about or reported at the time. There was no indication in the outline of Cohen’s confession sketched out by Special Counsel Robert Mueller on Thursday as to why the proposed deal was dropped, but the timeline might offer a clue. Cohen suddenly backed out of a trip to Russia arranged by the Kremlin on the afternoon of June 14, 2016 — about three hours after the Washington Post revealed that Russian hackers had penetrated the servers of the Democratic National Committee and stolen documents related to the election. The Moscow project only became public knowledge the following year, after Trump’s inauguration as president. It was briefly mentioned in a 2017 New York Times report about another covert scheme also involving Cohen and Felix Sater, a convicted felon, former F.B.I. informant and longtime fixer for the Trump Organization with deep ties in Russia.